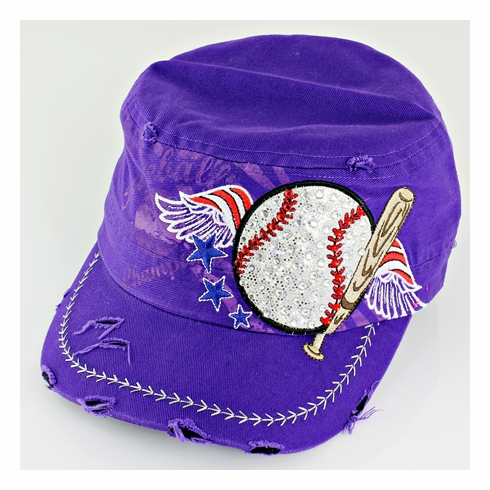 Women's vintage baseball hat. This "distressed" military style hat is comfortable and good looking. It is roughed up a bit and purposely frayed, giving it an aged look. The crystals on the baseball make it shiny...embroidered stitch across the bill...embroidered stars, wings, baseball, and bat.